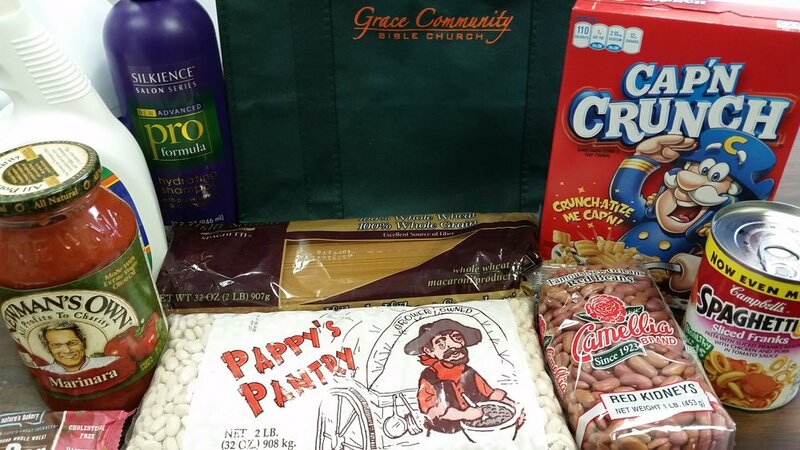 On the last Saturday of every month Grace Community Bible Church gives out of our abundance to the hungry in River Ridge and Kenner, La. We start distributing food at 9am and finish by 11am on Saturday. The giveaway is open to any in our community at large who are in need of the mercy of Christ and the help of His Church. The grace of Jesus Christ was never intended to be horded by the faithful. It was always the intent of Christ to give to all those in need who will humble themselves and ask for His compassion. This food pantry is a small way that our church family spreads the grace we have received to our community at large. This pantry is much more than a food giveaway. We have seen adults and children come to a closer relationship with our God. We have seen the love of Christ manifested in relationships and fellowship with others. This continues to be our objective. If you would like to participate in any way, be it helping out on Saturdays with fellowship and distribution of goods, giving of your time and/or money, or buying any of the items we give away, contact Pastor Shawn.